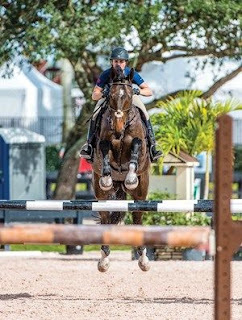 Part 2: Beezie Madden develops athleticism and rideability at the 2016 George H. Morris Horsemastership Training Session. New Year’s Day dawned unseasonably hot and humid at the Winter Equestrian Festival showgrounds as two-time Olympic gold medalist Beezie Madden perched a George Morris action figure aboard a golf cart to preside over the second day of the 10th annual George H. Morris Horsemastership Training Session. 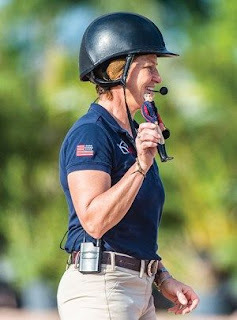 Day 1 had featured Olympic bronze medalist Christine Traurig’s schooling of the clinic’s 12 riders in dressage in Wellington, Florida. Beezie’s plan was to work on gymnasticizing the horses with the goal of building on Christine’s lessons. 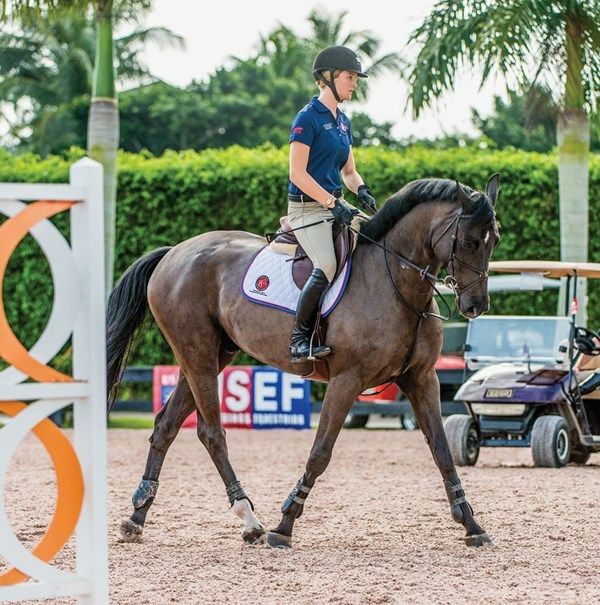 As an example, Beezie said riders could ride a shoulder-in at the sitting trot, then transition to the shoulder-in at the walk for a few steps before returning to a shoulder-in at the sitting trot. Or each could ride a half-pass at the sitting trot, then ride a transition to a half-pass at the walk for a few steps back to a half-pass at the sitting trot while making sure the horse’s hind end is underneath the rider’s seat. Then riders could change it up: ride a half-pass, change direction, walk, trot, walk. Horses could memorize a pattern, so finding the correct balance between repetition and overdoing an exercise is key. Before Beezie added jumping to the gymnastic exercises, she moved her stirrups up a hole. 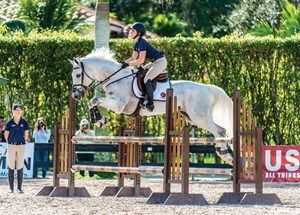 “You should have a little longer stirrup for the flat than jumping,” she advised. “Don’t take your foot out of your stirrup to adjust it since you’re never going to know what will spook your horse. 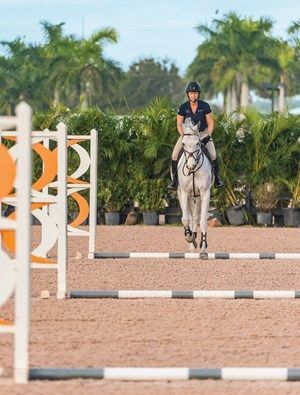 If you’re ever on a young horse, you have to have that skill.” Then it was back to the business of adding variety to the workout by introducing three vertical jumps set on a line 20 feet apart with ground rails placed midway between each. She also set takeoff and landing poles 10 feet before and after the line. She rode the line and had the horse halt after it. Again to add variety, she would sometimes ride the line and then ride through the corner. She emphasized working on making tidy turns to prepare for the tight time allowed on many courses and the speed often required in jump-offs. To sharpen the turns, she used her inside leg to put the horse onto the outside rein, which keeps him from cutting in. “If the horse is on the outside rein through the turn, the turn becomes much simpler,” she explained. “If the horse is cutting and not on my outside rein, it becomes a battle into the turn. Not only does it distract the horse, it slows him down, too. Beezie said training the horse to jump so that his arc is over the middle of the jump is important. A rider does this by keeping the horse’s hind end engaged and maintaining an even rhythm so the takeoff spot is accurate. “A horse that jumps too early will have the back rail. I want enough rideability that I can keep my horse together in rhythm.” As long as a rider keeps the rhythm and the connection, the horse can jump well from a variety of spots. As Beezie cooled down her horse before bringing the young riders into the ring, she encouraged him to stretch and relax his topline. “It’s a nice exercise physically and mentally,” she said. “Even though he’s in a long frame, I’m still stretching out the muscles in his back” while keeping him in front of the leg with light contact. There is “still connection between leg and hand even though I am letting him rest and relax,” she added. As the first six riders entered the ring, Beezie instructed them to warm up by walking in a lively rhythm with the horses in front of the riders’ legs. She asked them to establish contact with the horses’ mouths by pushing them into the bit, not by pulling on the reins. Throughout the session, Beezie insisted the horses react to the aids. Not a fan of digging the horse with a spur at every stride, she explained that the horse needs to be respectful of the aids and ready to respond to them, but he can’t be afraid of them. “It’s got to make sense to him,” she said. “There’s a progression. You don’t want to go from no leg and then attack the horse.” You start with the amount of pressure you want the horse to respond to and if he doesn’t, “he gets a little reprimand” with a stronger leg or a kick. Beezie asked the riders to move into the posting trot, reminding them that their first goal was to make sure the horses had enough impulsion for self-carriage. The horses should be trotting in a nice forward rhythm with a light contact. If the horses evaded the bit by pulling or getting behind it, she instructed the riders to raise their hands to put a little pressure on the corners of the horses’ mouths. When the horses changed the head position by accepting the bit, she explained that the riders needed to immediately soften the contact while maintaining the leg. As Vivian Yowan’s horse became fussy with his mouth, Beezie suggested she try to keep her hands as steady as possible while using her legs to push him up to the bit. When he put his head down and relaxed his jaw, Beezie told her to relax her hands. Once again, Beezie stressed transitions: walk to trot, sitting trot, collect a little, shoulder-in in a walk to a sitting trot, shoulder-in in a sitting trot to a walk. She explained that to achieve the shoulder-in, a rider adds pressure with the inside leg at the girth to push the horse into the outside rein. The horse’s neck stays bent to the inside but not overbent. The hind legs should feel as if they are stepping up underneath the seat without going faster. She added that a rider should always work the horse in both directions. The riders were often asked to sit the trot so that they could use their seats and backs to influence the transitions. Tori Colvin, 18, was reminded to lean back when doing transitions instead of forward. She said she’d remember what Beezie said about carrying the hands, making sure she’s not pulling on the reins and legging the horse for impulsion. Just when the jumpers thought they might be finished with dressage, Beezie introduced a half-pass. A half-pass is performed with the horse parallel to the side of the ring and slightly bent in the direction in which he is moving forward. Beezie reminded the riders that looking at the horses’ heads will not put them into the right position, but looking where they wanted to go will help create the roundness of the horse. Beezie told Ransome Rombauer, 17, to bring her hands above her horse’s withers because when she carried her hands too low, she risked pulling the horse’s head down and creating resistance than suppleness. Instead, Beezie told her to raise the hand, keeping the bit in the corners of the horse’s mouth until he sought a different position and gave in the jaw by lowering his head. When that happens, the rider can reward him by relaxing the contact though not allowing a slack in the reins. 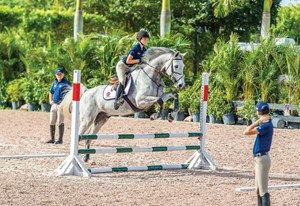 As riders moved on to riding over the ground rails and jumping, Kelli Cruciotti, 18, said she liked using different stride lengths over the set of three ground poles. “I am going to think about the shape of the horse and making sure he has that accordion feeling,” she said. As the day wound down, Beezie again praised George while acknowledging his tiny action figure set in the golf cart overlooking the training session. “He’s the driving force behind this training session and, thanks to him, we have a good program here,” she said. Re-published article from Practical Horseman. Take a moment to consider whether your feeding routine still provides the right amount of nutrients and calories for your horse. Routines can be comforting. When balancing the demands of career, family and barn, it feels good to simply work your way through familiar chores---first the water, then the hay. Then a trip to the feed room, and with a can of this and a scoop of that, you’re done. Your reward, of course, is the sweet sound of munching in every stall. But routines can be a liability if they keep you from updating your horse’s feeding regimen as his needs change over time. Advancing age, training schedules, turnout times, health and dental issues, injuries, even the seasons and weather can alter a horse’s nutritional requirements. And making small adjustments sooner can save you from having to cope with bigger problems later---after a horse has gained or lost a significant amount of weight or developed other nutritional or metabolic-related issues. If you haven’t done so in a while, take the time to scrutinize your feeding routines. A little adjustment might be beneficial or even necessary to keep your horse as healthy as he can be. Of course, you’ll want to talk to your veterinarian or an equine nutritionist before making any drastic changes in your horse’s diet. But here are some factors to consider as you start the conversation. When you see your horse every day, slow, subtle fluctuations in weight can be easy to miss, especially under a winter coat or blanket. That’s why it’s a good idea to keep an eye on your horse’s body condition so you can catch developing changes earlier. One of the most objective ways to evaluate a horse’s weight, short of walking him onto a scale in a veterinary hospital, is to learn to determine his body condition score (BCS), a method of ranking body fat on a scale from 1 (poor) to 9 (extremely fat) developed in 1983 by Don Henneke, PhD. When horses develop fat, they tend to store it in distinct places just under the skin where it can be easily seen and felt. And they lay fat in certain parts of the body in a particular order---first over the heart and the ribs, then over the rump and back, forward to the withers, and last over the neck. As a result, the specific location of stored fat can tell you how overweight the horse is. If your horse has a “weight problem”---whether he needs to lose or gain---his feed ration will obviously be central to the solution. An overweight horse needs to consume fewer calories and/or exercise more. But simply cutting back on your horse’s regular feed is not a good idea if it means you’ll be shortchanging his nutrition. Instead, consider switching to a lower-calorie feed meant for easy keepers. Ration balancer products can help ensure your horse gets all of the vitamins and minerals he needs if you need to reduce or eliminate his concentrates. In addition, a grazing muzzle can reduce a horse’s consumption of pasture grass even as he enjoys the benefits of turnout. Conversely, you may find that your horse is underweight. Weight loss may result from the need to burn extra calories to stay warm in cold weather, but if your horse begins dropping pounds for no obvious reason, ask your veterinarian to conduct an examination to look for underlying health issues. Gastric ulcers, pituitary0 pars intermedia dysfunction (PPID) and a number of other diseases or conditions may be preventing him from deriving adequate nutrition from his feed and will need to be addressed. To put weight back on a healthy but thin horse, you need to increase his calories without incurring a risky overload of starch or sugar, which can cause a number of problems, including laminitis. You can achieve that goal in a number of ways, such as increasing his hay ration or pouring up to a cup of corn oil over his feed each day. If you want to increase the portion of his existing concentrates, consider adding a third meal to his day rather than offering bigger servings all at once---this increases his overall caloric intake with less risk of a dangerous starch overload. Another safe option is to switch to a higher calorie, fat-based feed. percent of their body weight---but increased appetite will enable them to make up the difference. cutting or other skill work, with a mean heart rate of about 90 beats per minute for the entire session. This category includes some recreational and show horses as well as those engaged in polo or ranch work. These horses burn about 1.4 times their baseline calorie requirements. They ought to get no more than 25 percent of their feed ration (by weight) from concentrates. • Heavy work is four to five hours per week, including 50 percent at the trot, 15 percent at the canter, and 15 percent galloping, jumping or performing other intense skills, with a mean heart rate of about 110 beats per minute. This category includes horses engaged in more intense showing, ranch or polo work as well as those in low to moderate race training and low- to mid-level eventing. These horses burn about 1.6 times their baseline calorie requirements. They may need to get up to 40 percent of their diet (by weight) from concentrates. • Very heavy work can include one hour per week of high-speed work combined with six to 12 hours of slower work, with a mean heart rate of about 110 to 150 beats per minute. Most of the horses in this category are engaged in racing, endurance or high-level eventing. These horses burn about 1.9 times their baseline calorie requirements and may need to get up to 50 percent of their diet (by weight) from concentrates. These are general categories, meant to be used only as a guideline. 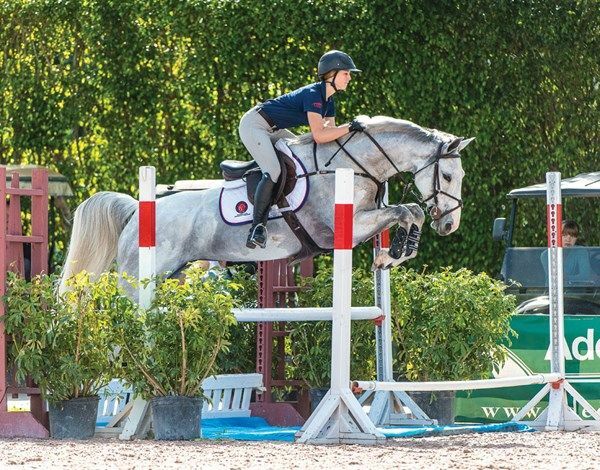 Your own riding schedule may vary or fall “in between” these divisions, and many factors---including climate, breed, general fitness level and the weight of the rider---can influence an individual horse’s energy requirements. That said, if your horse looks good and performs well, chances are he is already getting the right amount of feed. But if his exercise levels are on the increase---because you’re entering a higher level of training, perhaps, or because you’re now sharing him with another rider---it might be a good time to reassess his needs. If you do not want him to lose weight, you might need to add a small portion of a concentrate formulated for active adult horses---but be sure to choose a product suited to his level of activity. Feeds formulated for high-performance athletes may provide too much protein and other nutrients for horses in light or moderate work. Conversely, if your active horse is going to be taking some time off from training, you’ll want to scale back on his concentrates so that he doesn’t gain weight. The first step in good digestion is chewing feed thoroughly. When a horse has problems with his teeth that interfere with chewing, he is vulnerable to a number of problems, including colic, malnutrition and choke. Aging horses, in particular, often develop uneven tooth wear, including sharp points and hooks, that can cause pain or otherwise interfere with the ability to eat properly. But don’t overlook the possibility that younger horses, too, may injure their teeth or develop infections or abnormalities that inhibit chewing and swallowing. Signs of trouble include dropping partially chewed feeds from the mouth, swelling or pain in the cheek or jaw, weight loss, bad breath, long stems of hay or poorly digested feed in the manure, resistance to bridling or fussiness with the bit. Schedule a dental examination with your veterinarian right away if you have any reason to suspect a problem with your horse. Otherwise, routine examinations conducted at least every year, or every six months in aging horses or those who’ve had problems in the past, will help to make sure your horse’s teeth remain healthy and strong. A horse with significant dental issues, including aged horses whose teeth have worn almost completely away, may require a change to softer rations. You may need to choose softer hays, or soak the forage to make it easier to chew. 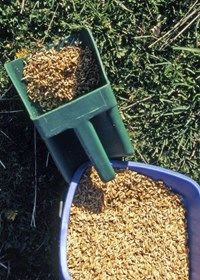 Another option is switching to pelleted or cubed forages, a complete senior feed or other foods that provide both roughage and nutrition in an easy-to-chew form. Good-quality hay or pasture, water and access to a salt lick are the foundation of a horse’s diet. However, the nutritional content of hays and grasses can vary throughout the growing season and under different climatic conditions, such as drought. Keep an eye on your pastures throughout the seasons. If you start seeing that the grass has been cropped short over wide areas and bare patches are starting to appear, your horses are overgrazing and will benefit from supplemental hay. When weeds and bare patches become chronic, it may be time to talk to an expert about reseeding for healthy growth. Hay, too, can vary in nutritional content depending on when it was cut and what the climate conditions were when it was grown. When you purchase a new batch of hay, the only way to be absolutely certain of the nutritional content is to send a sample off to a laboratory for testing. But unless you have a horse with extremely strict dietary requirements, you probably don’t need that much accuracy for day-to-day feeding. • Lift the bale above your knees and drop it onto a solid floor. Good hay will make a muffled sound and bounce. If it doesn’t, the hay may have gotten wet and developed mold. • Cut the twine open. Good hay will “spring” open. Moldy or poorer hay holds its shape. • Check the aroma. Good hay smells fresh and sweet. Any acrid or musty odors can indicate mold. • Squeeze and twist a handful. Good hay is soft and flexible. Poorer hay feels harder, and the stems will stab your palm. High-quality hay that is stored properly---not exposed to the sun, rain or other moisture---will retain its nutritional levels almost indefinitely. Any losses of dry matter---including nutritional content---will be limited to the first month or two. After that, the nutritional content will remain largely unchanged, although the field-fresh smell may dissipate. One exception is carotene, the precursor for vitamin A. Carotene levels will continue to decline in stored hays. If you are relying on hay that has been in storage for more than a year, you may need to add a carotene supplement. your horse’s needs, talk to your veterinarian about adding a vitamin/mineral supplement or a ration balancer product, which adds balanced nutrients, including amino acids, without a lot of extra calories. New feed products and supplements are being introduced to the market all the time, and manufacturers are also modifying their existing formulas as new research yields insights into equine nutritional needs. If it’s been a while since you took a wider look at what’s currently available, you might find something that offers a better fit for your horse. Although all horses require the same basic nutrients, those in different occupations or stages of life may need higher or lower amounts of many proteins, vitamins and minerals. High-performance athletes, for example, benefit from high-calorie feeds with added nutrients, such as vitamin E, that help muscles recover from intense work, while weanlings need more amino acids to help their bodies grow healthy and strong. A number of products are available for all stages of a horse’s life---from youngsters to seniors, with specialized formulas for broodmares, high-performance athletes, easy keepers and others with special needs. You’ll also find the feeds offered in a variety of formats, with different ingredients for palatability, or different forms. Some horses love pellets, for example, while others prefer textured feeds. As you look around, be sure to keep the big picture in mind. If you need a low-sugar feed, for example, zeroing in on the bag with the smallest amount of sugar may not be the best idea if the rest of the formula does not meet your horse’s needs. If you have questions about a particular feed, look on the bag for a toll-free telephone number for a consumer information line; ask to speak to a nutritionist who can provide you with information. And, of course, your veterinarian or an equine nutritionist can help guide your choices. For an animal who eats mainly grass, horses can require complicated feeding regimens. The good news, though, is that feed companies have already done the hardest work of developing formulas that provide appropriately balanced nutrition. Once you’ve chosen the right product and determined the correct amount to provide at each meal, you can slip back into your comfortable routines, confident that your horse is getting the best you can offer at every meal.